The city of Chesterfield is a thriving residential community that covers nearly 32 square miles in the suburbs of St. Louis County. Incorporated in 1988, the community is located only 25 minutes west of historic downtown St. Louis. The community of more than 47,000 people is a picturesque city with tree-lined streets and residential neighborhoods. The city's residential areas are harmoniously blended with the region's landscape of green valleys and rolling hills. The City of Chesterfield perfectly blends of attractive homes, top-rated schools, and a multitude of opportunities for shopping and dining. The residents of the ideal Mid-western community enjoy a highly sought after quality of life. The city of Chesterfield is a prime example of what can happen when a community works toward a shared vision, and encourages the growth of a community into a great place to live, work, and play. The 32 square miles that are today referred to as Chesterfield, were for many decades a vast unincorporated region of western St. Louis County, often called "West County." The large expanse of unincorporated community contained a number of smaller historical communities. In 1988, members of the Chesterfield Incorporation Study Committee, led by John A. Nuetzel, established the City of Chesterfield. Today the city is West County's premiere retail, business, and residential community. Located, less than 30 minutes west of St. Louis, the city of Chesterfield is a vibrant community, set apart from the hectic pace of the nearby city area. Residents of the quiet community enjoy attractions, such as the 1920's carousel found in the 200-acre Faust Park or the majestic butterfly house. The historic village streets reveal a number of award-winning restaurants. The unique city is also home to a number of fantastic shops, art galleries, a community theatre, a three-rink ice skating facility, and much more. The city of Chesterfield offers residents a wide variety of opportunities for culture and recreation. The community's beautiful landscaping and ample green space are a testament to the city's commitment to preserving the area's natural flora and fauna. The city keeps pace with the needs of its residents and provides Chesterfield's citizens with a number of outdoor recreation options, including large multi-use sports fields, playgrounds, parks, trails, and more. Every summer residents enjoy the sounds of the Free Summer Concert Series held at Faust Park. The expansive 488.5-acre park is also home to the Botanical Garden's Butterfly House, the Chesterfield Valley Athletic Complex, and the Family Aquatic Center. Additionally, residents may enjoy the sweet sounds of concerts or movies held at the Chesterfield Amphitheater. The city of Chesterfield is home to a number of walking trails, including the Monarch Chesterfield Levee Trail and the Riparian Trail. These trails allow residents of Chesterfield to easily keep moving throughout the picturesque community. Home buyers considering a move to Chesterfield will benefit from the assistance of a local real estate professional. Janice Freeman has helped home buyers find homes in both Chesterfield and the surrounding West County area. The large number of homes available on the market at any one time can be overwhelming for home buyers, especially those that are new to the area. 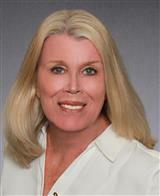 Janice Freeman has the benefit of knowing the area and understanding the unique area real estate market. For more information about homes for sale in Chesterfield, contact Janice Freeman today.